The ZTE Nubia Z5 S Mini will be on flash sale tomorrow, February 12, in the country's largest e-commerce site, Lazada. The handset's price will be trimmed down to Php 8990 from its original Php 16,790 price. The flash sale will start at exactly 12 noon. Check out the Lazada portal for ZTE here. This sale will give you as much as 46 percent discount compared to your regular purchase. Likewise, mobile shoppers can also get the chance to join the sale using their devices. 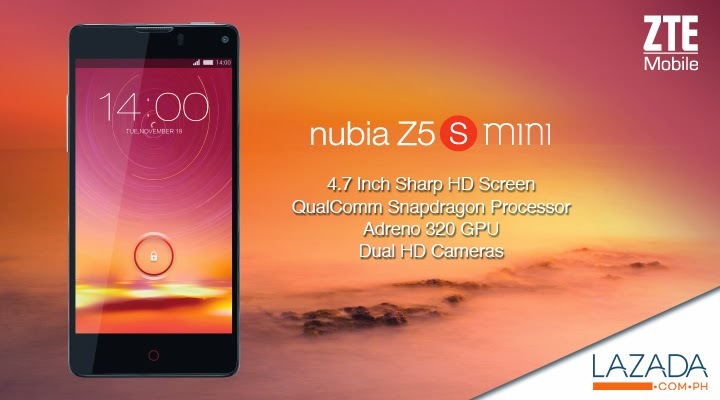 Check out the ZTE Nubia Z5 S Mini specs below.